And look what we found on the other side of the December, 1944 WAVES Newsletter. 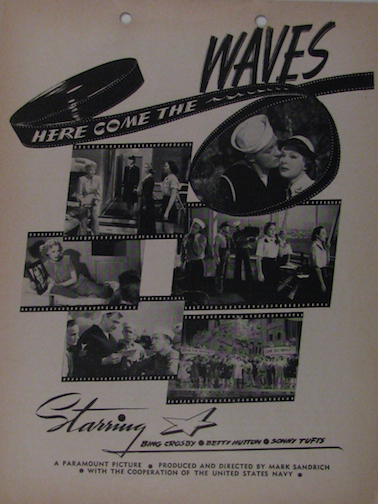 An ad for the new film Here Come the WAVES. The Betty Hutton/Bing Crosby vehicle was filmed on Navy bases and at the Hunter College Boot Camp. It went into pre-release at Navy facilities across the United States before going into theatrical release December 18, 1944.